With around 120 separate collections reflecting the history of Huddersfield and the surrounding area, the challenge of this project was to create a pathway into the diverse collections that could appeal to any visitor. The University of Huddersfield’s Archives and Special Collections are made up of around 120 separate collections reflecting the history of Huddersfield and the surrounding area and are of local, national and international significance. 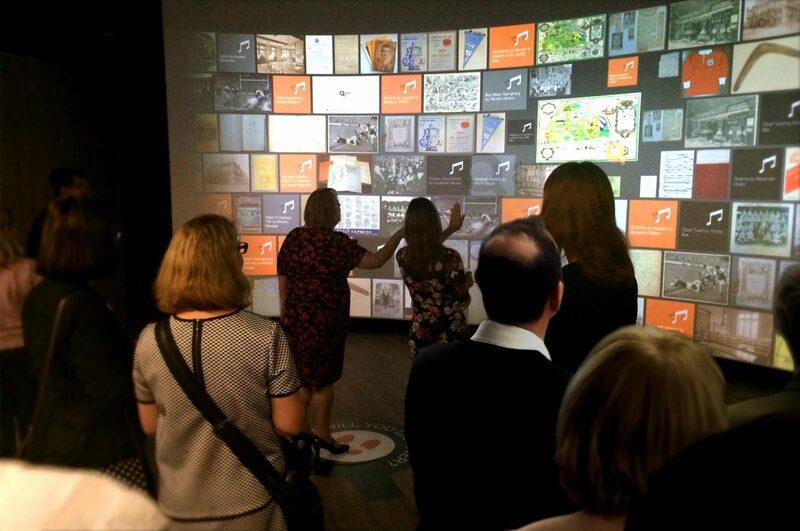 A grant of £1,585,000 was made by the Heritage Lottery Fund to create a new Archive Centre to make these collections accessible free of charge to the public – around 60,000 different items of written, photographic, printed and audio-visual material, mostly dating from the mid-19th Century to the present day. Themes include British contemporary music, the Rugby Football League, and records from the area’s radical political history, women’s history, traditions of non-conformity, and industrial history. Learning and education, the arts, and health are the subjects of further archives. With such a range of material to exhibit to both the casual or first-time browser as well as the specialist searcher for information, it was important to create a pathway into the diverse collections that could appeal to any visitor. The pathway leads from an interactive Gesture Wall that gives visitors an overview of the scope of the collections and examples of individual items to whet their appetites for further exploration. 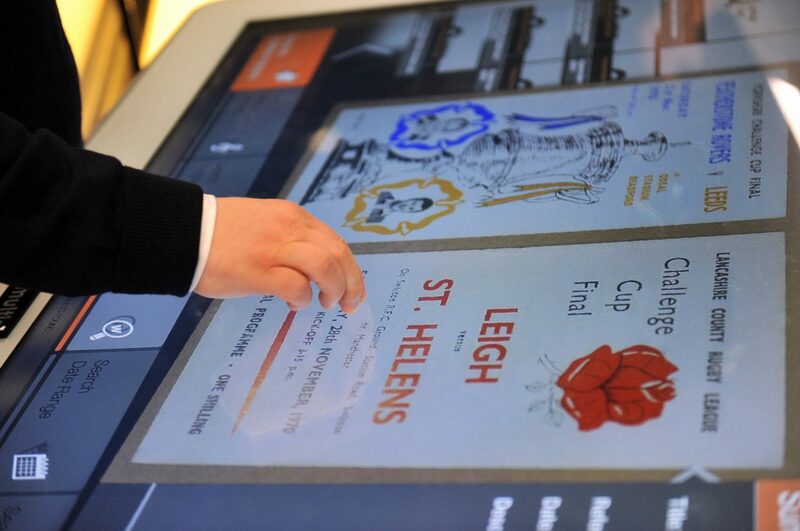 From there, visitors can move to two multi-touch tables to discover more about the detail of the archives which then lead them to investigate the archives themselves and experience the real items that give personal, first-hand accounts of the history the archives represent. 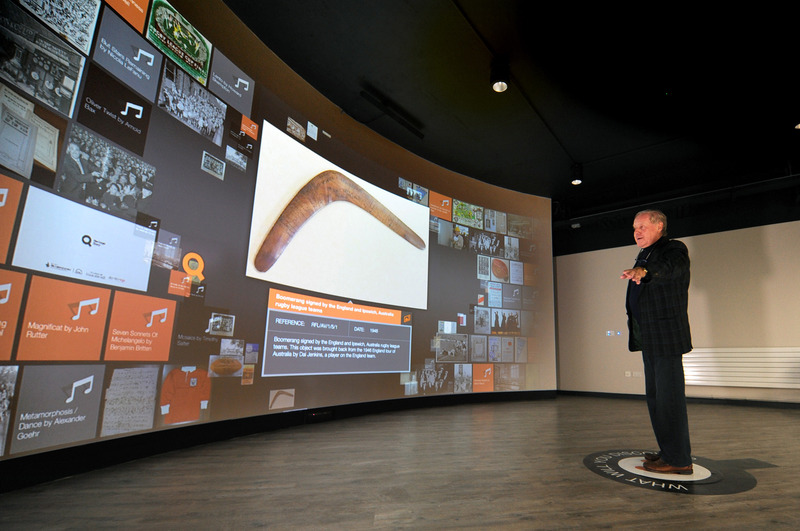 The Gesture Wall is a 7 metre interactive curved wall, driven by human gesture, with surround sound and dynamic archive database integration. 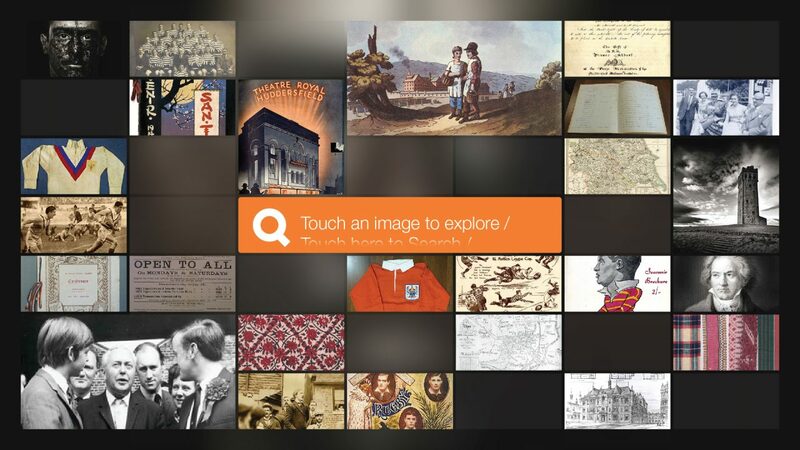 A river of images from the archive database flows across the wall. 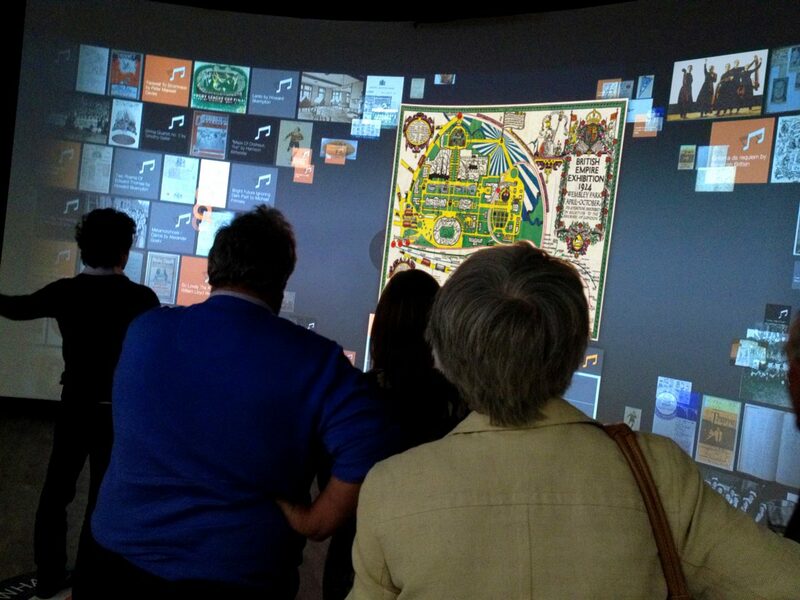 As visitors gesture towards a particular image, it expands and enlarges it or plays a video. 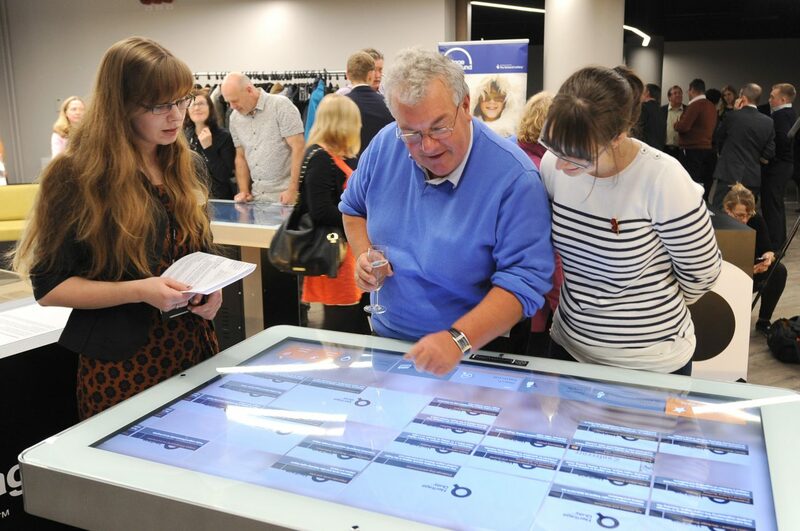 Two multi-touch tables allow people to discover more detail about the specific collections and individual items, helping them to find a personal entry point into the archive data. Carefully selected ‘star’ exhibits bring the collections on each table to life: a premiere from the Contemporary Music Festival; an unpublished score; a famous and much loved Rugby Football League player; a programme from an Australian RFL tour – each item chosen to inspire further exploration. 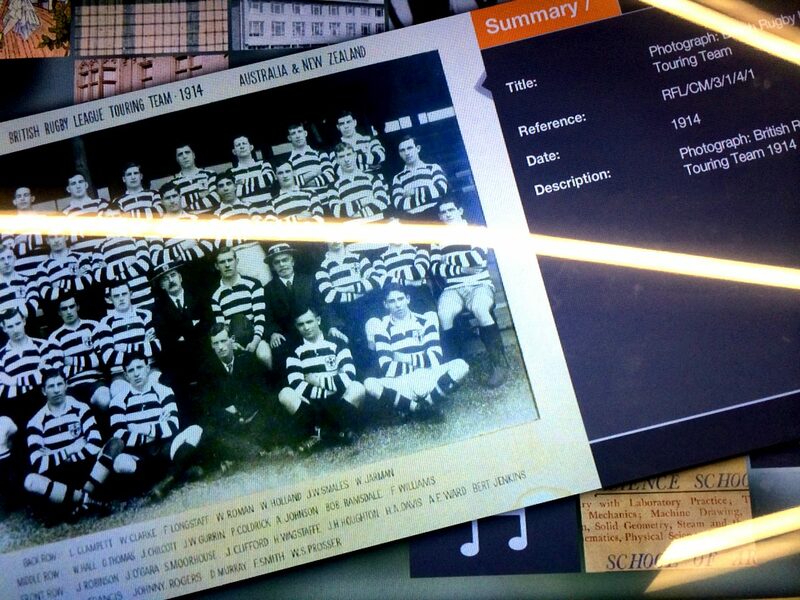 A database driven ‘live’ link to the archives combined with powerful search functionality enables visitors to ‘drill down’ into the collections as far as they wish. 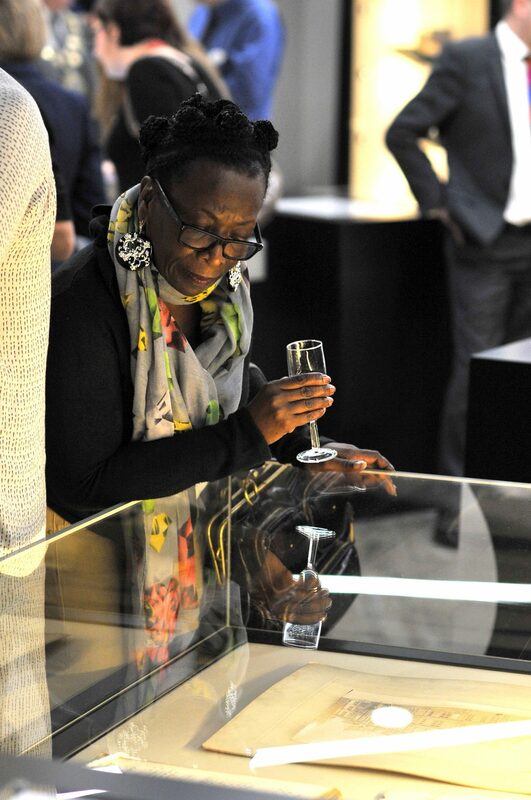 The link ensures the experience grows in breadth and depth as the archives develop over time. 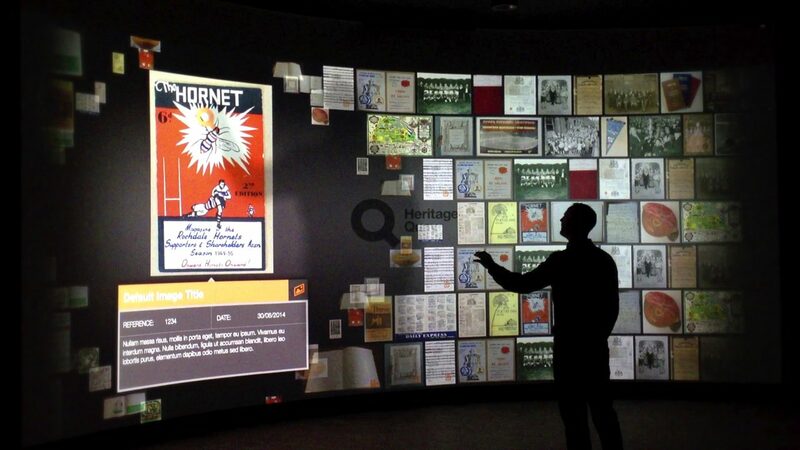 Leading on from the interactive exhibits that we developed are the many items in the Archives and Special Collections, now available for the public to view as never before. Heritage Quay was launched on the 20th October by Gary Verity, Chair of the Heritage Lottery Fund Yorkshire and Humberside, introduced by Vice Chancellor Professor Bob Cryan CBE. The Heritage Quay archive centre will make the University’s heritage collections more accessible to everyone, free of charge, thanks to a grant of £1,585,000 from the Heritage Lottery Fund. Since its opening in October 2014, Heritage Quay has been recognised through a number of awards.